Fast Melter - Industrial Plasters Ltd. 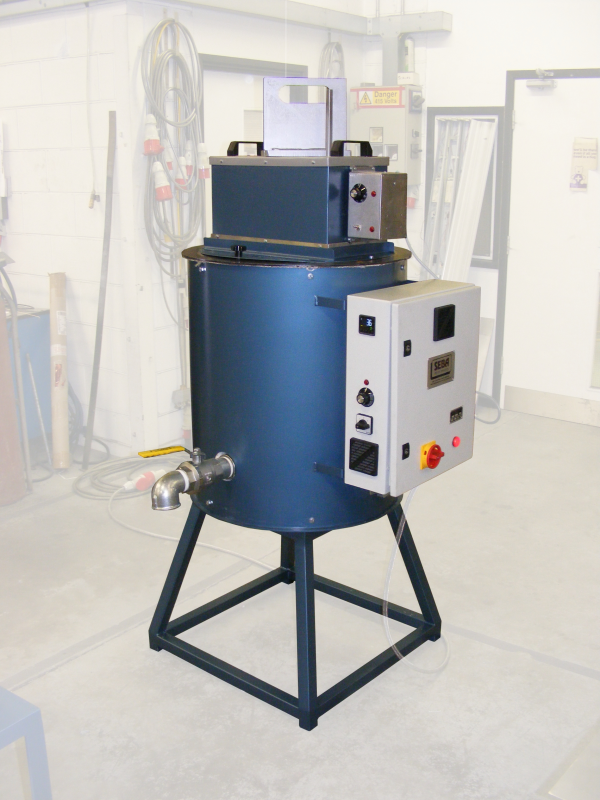 This Fast Melter is for use with the 50ltr, 75ltr and 100ltr Melting Pots (it cannot be used alone). The Fast Melter sits on top of the Melting Pot and speeds up melting time of large quantities of Vinyl by melting the Vinyl into smaller pieces before they drop into the main Melting Pot to be completely melted. It makes the melting of large quantities of Vinyl much, much quicker and easier. We would highly recommend always using a Fast Melter with the bigger Melting Pots. Please note this product is not a stock item, please call to check lead time before ordering.